Styled with heather skort . 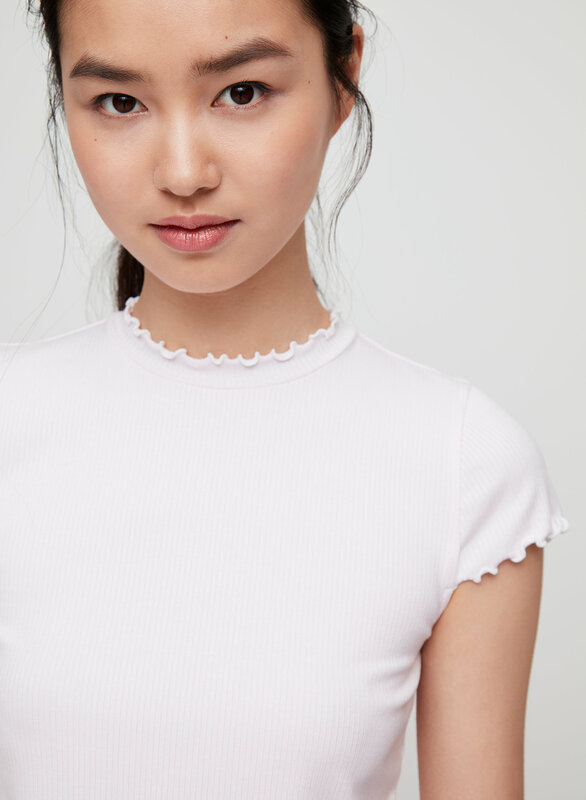 This is a mockneck tee with a cap sleeve, cropped body and contrast lettuce-trim piping. 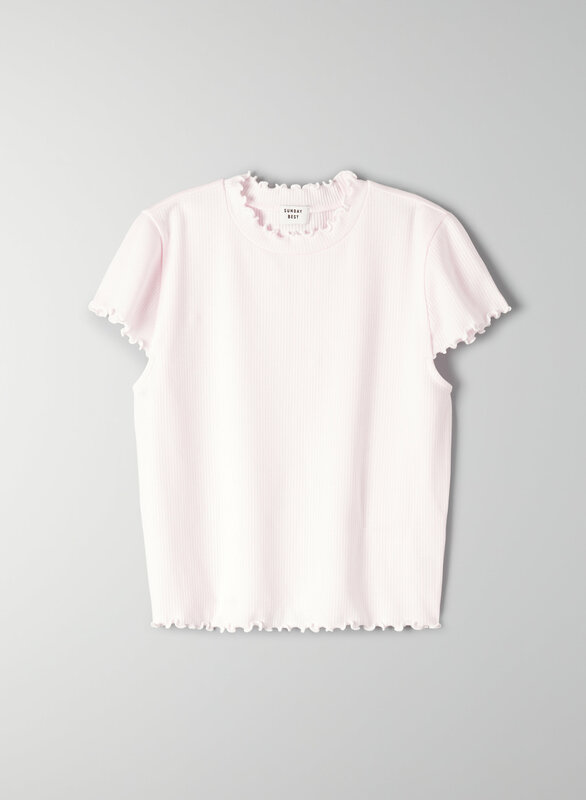 It's made with a stretchy ribbed TENCEL® lyocell fabric.